Hi. 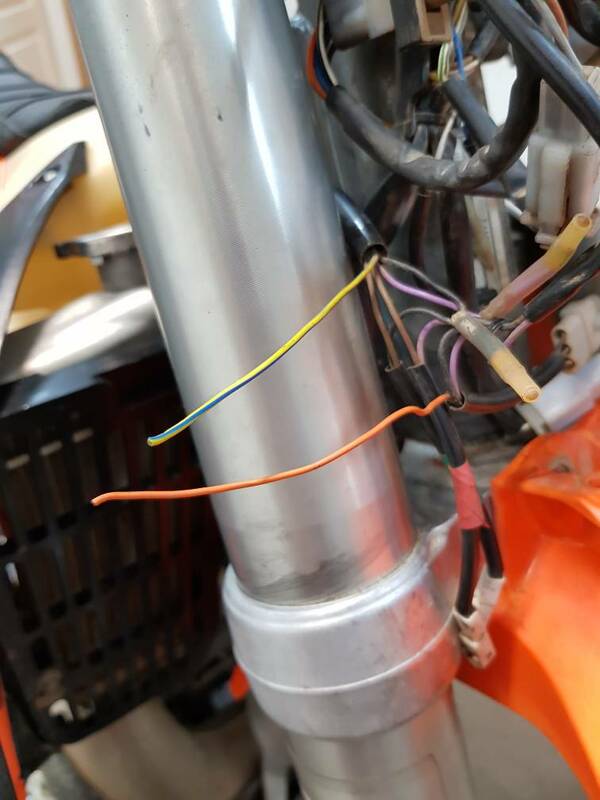 Could someone with a ktm 2014 300exc please have a look at there bike and let me know where these two wires behind the headlight are meant to go? I'm asuming it has to do with the indicators. 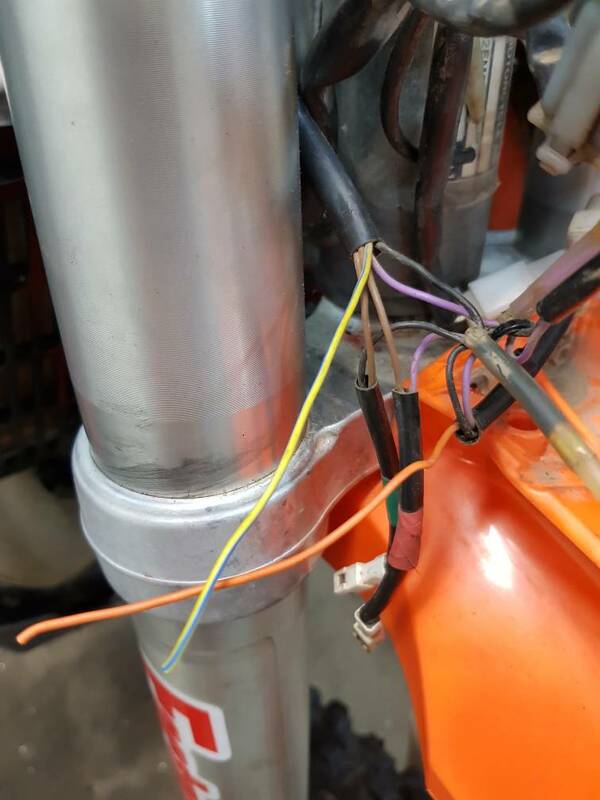 Up under the speedo on my 16. If someone has h photo they could upload of a 14 model that would be great thanks. p.m. Arctra, I gave him my wiring diagrams.